Dental technology is constantly evolving, and we've taken the time to research and invest in those technologies that make diagnosis easier and more accurate and treatment more efficient and more comfortable. We don't purchase technology just for the sake of having technology; we only use those systems that show a real benefit for our patients. 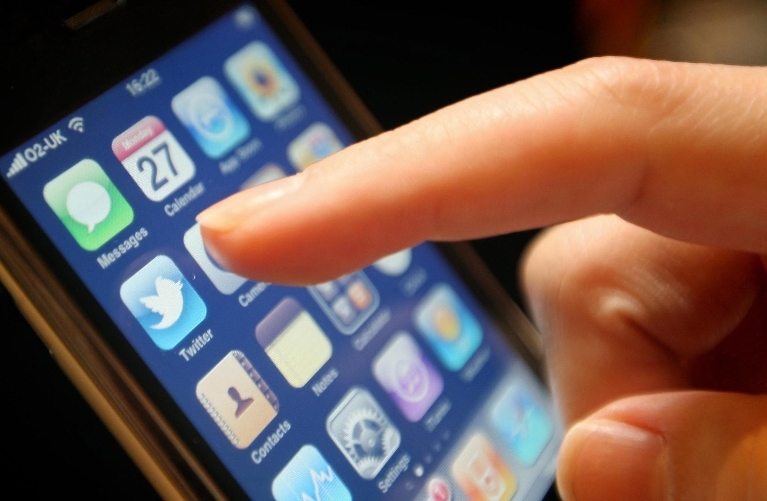 To learn more about some of the technology we use in our practice, read on! We're excited to offer CEREC same-day restorations to our patients! Our CEREC system allows us to create beautiful, custom-made crowns right here in our practice, virtually eliminating the need to send out restorations to a lab! Each restoration is a miniature work of art and is created to blend in beautifully with your existing dentistry. Everything we do in our practice is done with an eye toward esthetics, and we know you'll be pleased when you see the finished product. WITH CEREC, YOU CAN AVOID MESSY DENTAL IMPRESSIONS AND THE NEED FOR A TEMPORARY CROWN, USUALLY WORN FOR 2 WEEKS. LEAVE THE OFFICE WITH YOUR FINAL RESTORATION COMPLETE IN ONLY ONE OR TWO HOURS TIME! Cone Beam Cat Scans - 3D Imaging! 3D Imaging enhances the Dentist's ability to diagnose, treatment plan, and create the most predictable outcomes. It is invaluable in the areas of IMPLANTS, ORAL SURGERY, ORTHODONTICS, PATHOLOGY, AND EMERGENCIES. It gives us greater diagnostic accuracy and confidence and allows us to do better treatment. 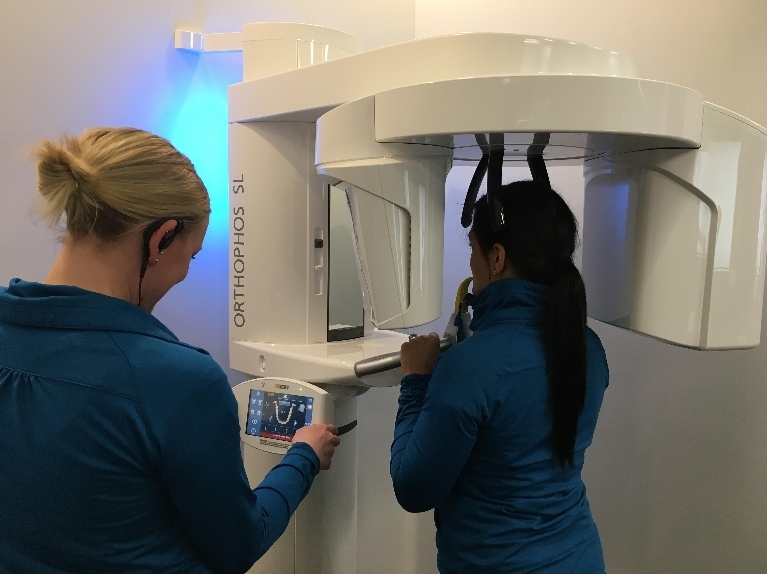 For the patient it is fast and easy, done here during normal appointment time, and with a low radiation dose. It is truly one of the "gamechangers" in dentistry today! X-rays are one of our most valuable diagnostic tools. We recognize that patients often have concerns about dental x-rays and the radiation involved. Your safety is always our number one concern, and that's one of the reasons why we made the switch to digital x-rays. While dental x-rays already used an incredibly low amount of radiation, digital x-rays are able to cut that even further – by about 80%! Digital x-rays have a number of other advantages as well. They are available for viewing almost instantly, and we can zoom in, enhance, and rotate the image as needed to get a better view and show you what we see. Additionally, they can be stored right in your electronic patient record for easy retrieval and comparison. Plus, the sensor is so much more comfortable than the old x-ray film! We don't mess around when it comes to keeping things clean around here! Your safety is our highest priority and we take it very seriously. We make sure that every surface and every instrument is cleaned to the absolute highest standards. We think that your dental cleanings should be two things – gentle and thorough. Our ultrasonic instruments allow us to achieve both of these. Gentle cleanings mean comfortable cleanings, and thorough cleanings mean a significantly decreased risk of cavities and gum disease! One of the number one complaints dentists hear from patients is about the irritating noise that our instruments make. It just so happens that we completely agree! At White Bear Smiles, we use electric handpieces that are much quieter and don't compromise our ability to care for your teeth. You're busy, and we get that! We make it easy for you to confirm appointments at your convenience by sending confirmations through email and text. That way you can get the message quickly and confirm your appointment with a click of a button. When decay first starts, it can often be invisible to the naked eye. While x-rays are great, using them at every visit quickly becomes a hassle. 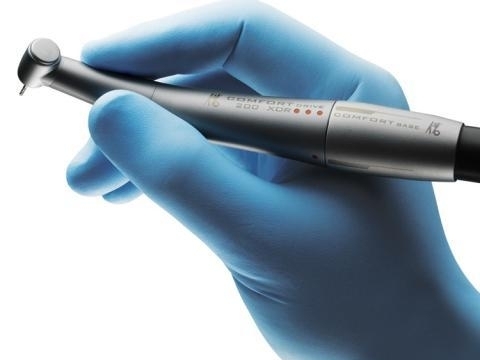 This hand-held device allows us to easily scan your mouth and identify areas where decay is developing that might be missed by a visual exam. When we can catch decay in its earliest stages, it's much easier to treat using conservative treatment methods.